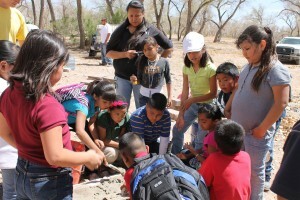 End of School Year Project – Benches at Santo Domingo Pueblo /Hawks Aloft Inc.
Liz Roberts, our fantastic educator, recently finished up the Living with the Landscape program for the 2012-2013 school year at Santo Domingo Pueblo. Liz has been working with the children at Santo Domingo for four years now in the Elementary and Middle Schools (K-8). As you know, a large component of our organization is education. We developed the Living with the Landscape program to teach students about the importance of conserving the environment and wildlife, with particular attention to birds of prey. This program is primarily designed to serve low-income (Title I) schools. It includes a neighborhood conservation project that students implement. The expectation is that the students will become stewards of their environment and active participants in developing the area into an outdoor classroom over time. 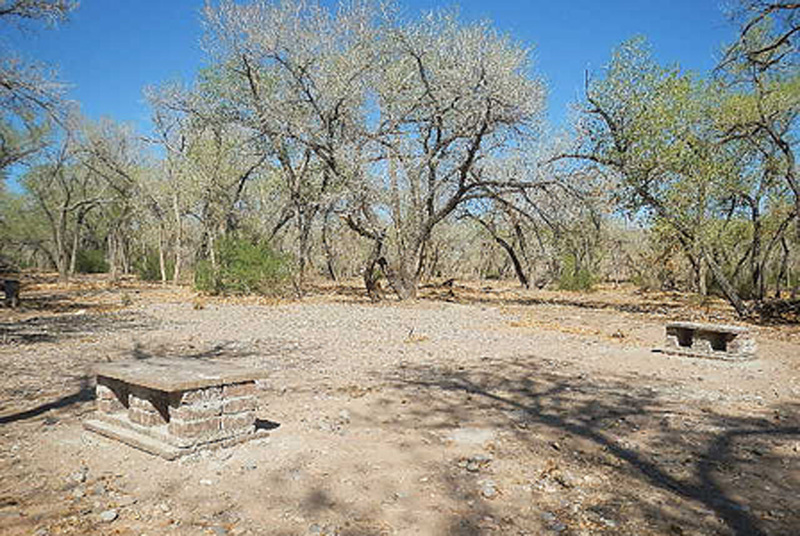 As part of the Living with the Landscape conservation project at Santo Domingo Pueblo, an open space area is being cleared along the bosque on tribal lands. Each year the students do an end of the year project. It can be anything practical, helpful to the community, and respectful of the environment. It can be as simple as picking up litter in the community, building a bird box, or planting trees. This year, the goal was to add plants and benches under the trees for seating in the open space classroom area. A true bricks and mortar project for the children! 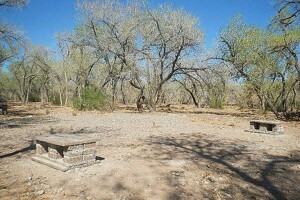 Bricks were obtained from Lowes Home Improvement Store; men from the pueblo helped with the heavy lifting; and the children mixed cement, hauled water to the site, laid bricks, and built benches. Half of the children worked, while half went on a nature walk. Then they reversed jobs. Here are images of two of the benches the children built. Liz is very excited that the program has been extended through the next school year. She has loved her visits with the children and especially the field trip to Las Golondrinas, which she told you about in the last HAI newsletter. Good job Liz! Good job children!